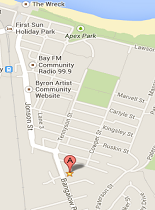 Book an appointment with your Chiropractor in Byron Bay today. Patients appreciate our comprehensive and holistic approach to pain and injury management as well as the care taken during rehabilitation. 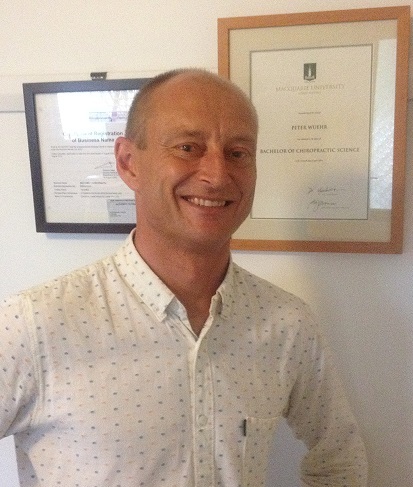 Dr Peter Wuehr is a conveniently located chiropractor in Byron Bay renowned for achieving excellent results through manual adjustment. Peter treats people of all ages from all walks of life. His patients range from babies and children to pregnant women, surfers, elite athletes, farmers and retirees. 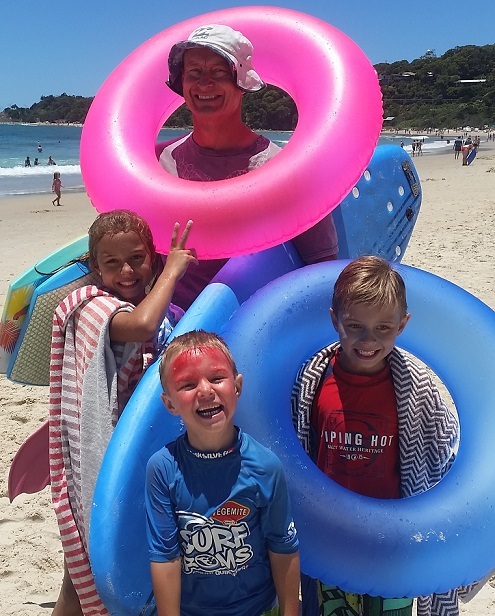 A keen sportsman and family man, Peter regularly treats his own three kids, his mother Val aged 80 and a steady stream of local and international travellers. Call the clinic today to book an appointment with Peter 02 6685 5282. Author, tv host, blogger and wellness coach Sarah Wilson spends a lot of time in Byron. Her Byron Guide is worth checking out if you are visiting the area or even locals may appreciate some of her insights. Sarah’s hectic life sometimes sees her in need of a good Byron chiropractor and Peter is always happy to straighten her out. Take a look at her Byron Guide here. Straighten Up Australia is a 3 minute spinal health program designed to help adults feel and look their best. Simply download the pdf exercise program and start enjoying the benefits today. Claiming your private health rebate immediately onsite is easy at Bay Family Chiropractic. 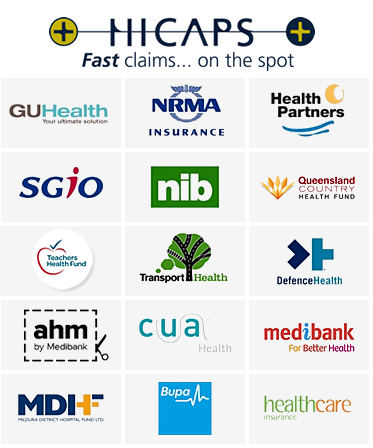 Hi-caps provides fast on the spot claims for most private health funds as well as Medicare EPC bulk billing. Are Private health rebates claimable on-site ? Yes, Bay Family Chiropractic offers rebates with most health funds through Hi-Caps. Fees start from $45 for children under 12 years – because we think it should be affordable. 5 min walk or 2 min drive from Byron Bay town centre with ample parking. Discounts for families, seniors and members of some local sporting groups. Just ask our staff when you’re making an appointment. Are we DVA and MAA approved? We are a chiropractor in Byron Bay which is fully accredited for DVA, MAA and WorkCover claims.